Using telescopes, astronomers have been mapping the surface of Mars in surprising detail for over 100 years. 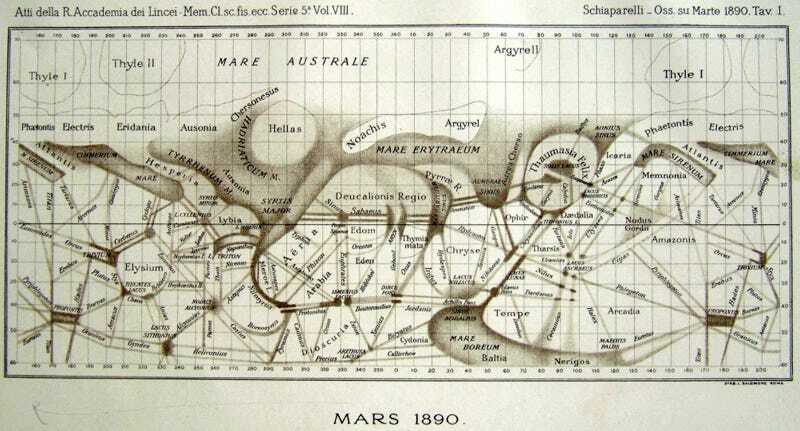 This map of the entire Martian globe, showing everything from Mare Australe to Mare Boreum, was made in 1890. Now you can check a satellite photo to see how accurate it really was. Here's a recent satellite photo of the same area of Mars, taken by NASA in 1998. And here's another, more colorful depiction of the same area, created in the late 1870s.